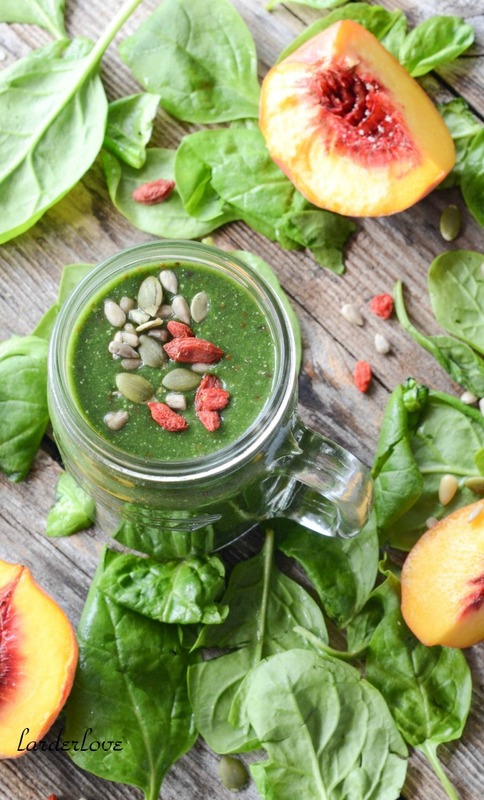 I’ve mixed up spinach with peaches and banana for my main base in this smoothie. Then add in some Spirulina powder, Gogi berries, flaked almonds, pumpkin seeds, pine nuts and sunflower seeds for crunch and almond milk to smooth things out and bring it all together. If you’ve never really been a smoothie fan, or have only every encountered those over sweetened super market varieties then the thought of mixing spinach with fruit might seem a bit much. 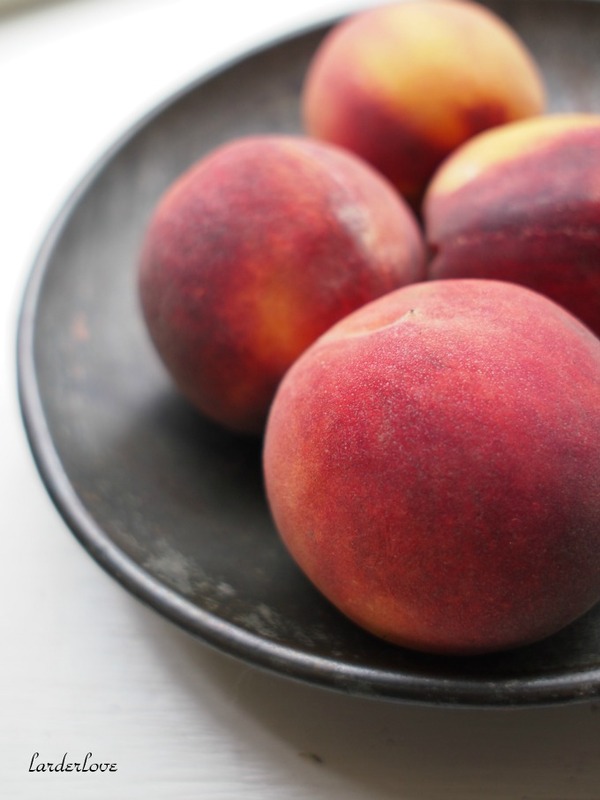 But let me assure you this is all about green goodness and the flavour of the peach and banana shines right through so you will not be tasting spinach. 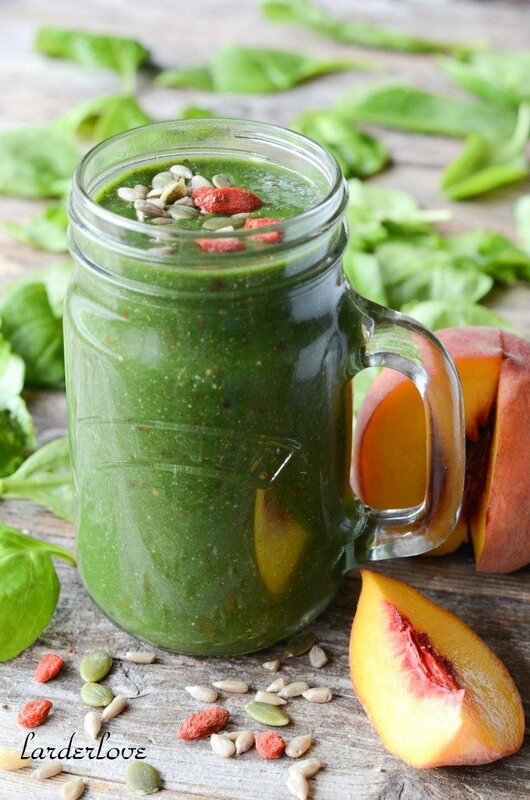 So there you have it, a great start to the day with my spinach and peach smoothie.